Every single data recovery situation is unique, especially with flash recovery. However, attempting to retrieve data from a damaged or corrupted solid-state drive is even more complex. HDD Recovery Services specializes in even the most complex data recovery procedures. Your SSD fail or important files suddenly disappear? Stop what you’re doing immediately to avoid irreversible data loss and let us help you get your data back. We’ve spent over 10 years recovering data from every type of hard drive. With all that experience behind us, we’ve discovered how to successfully recover your solid state storage drives. By continuously investing in research and development, we’re always ready to perform recoveries on the latest SSD devices. HDD Recovery Services is a team of data recovery experts with thousands of cleanroom recoveries under their belts. Our secret is our proprietary processes and tools that allow us to fully analyze data structures and safely pull data from SSD devices without further damaging the data.SSD data recovery isn’t the same as working with a standard hard drive. As leaders in the data recovery industry, we’re able to delve into the problem quickly. We’re industry leaders in data recovery success rates and even offer the fastest data retrieval turnaround. We never sacrifice data integrity in the process. 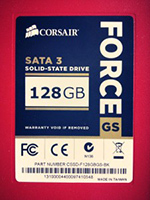 With us, you get quality, speed and customer support throughout the entire solid state drive recovery. Solid state drives are becoming more prominent in consumer and business technology. The flash based drives offer improved read/write performance. They also have far more efficient heat dissipation features while providing consumers with lowered energy consumption. While the drives themselves are higher, their features help decrease usage costs overall. As the technology sector continues to evolve, SSDs will advance and appear in more enterprise and industrial environments. Since SSDs are specifically designed for better performance and endurance, they’ll quickly replace normal hard drives in many business and consumer devices. As a result, there is an increasing need for solid state drive data recovery as even these devices can fail. SSD and flash based storage devices are susceptible to many of the same data loss causes as traditional storage. From hardware failure to computer viruses, data loss is still a very real possibility. As with traditional storage devices, data recovery is possible if you act quickly. We regularly tackle the challenges presented by SSD device recovery such as encryption variations, error correction code variables and flash memory chip density differences. No matter how complex the problem may seem, contact us and we’ll help you recover your data.